Overview: I'm going to admit something—Kauaula isn't the proper name of this beach. I always try to use native Hawaiian place names, but I've yet to find a name for this beach that everyone can agree on. SO, if you know it, please let me know. Known to locals as "Shark Pit," this beach sits by Kaua'ula Stream and is at the base of Kaua'ula Valley. While it's mainly known as a classic surf spot (advanced surfers only! ), the beach is also popular with families who come here to wade in the shallow waters and escape the summer tradewinds. Rarely, if ever, is it windy here, and there's always plenty of room to stretch out and find your own patch of sand. The beach is actually pretty long, and extends all the way to Lahaina Harbor and the Lahaina Shores condominium. There's a beach volleyball court by Kamehameha Iki park, which is right across from the Front Street tennis courts as well as 505 shopping center. A lot of Lahaina surf schools operate on the sand in front of the break wall, and while the swimming here is non-existent (it's WAY too shallow and murky), it's a good spot for catching a tan or going for a jog down the beach. Good For: Surfing, jogging, suntanning, volleyball, visiting with children, escaping the wind, and proximity to Lahaina/Front Street. Not So Good For: Swimming, snorkeling, natural shade, finding parking within a half mile. Maui Expert Tip For Kauaula / Shark Pit / 505 beach: There's a beach shower located by the volleyball court in Kamehameha Iki park. If you visit around sunset, you can hear the music from Feast at Lele luau, and you can escape the crowds by walking all the way to the southern end of the beach. Directions and Parking Situation: On the makai side of the road (the ocean side), there's a small public parking lot between the Front Street tennis courts and the 505 shopping center. This usually fills up pretty early though, but you can also find parking behind the tennis courts and then walk to the beach from there. 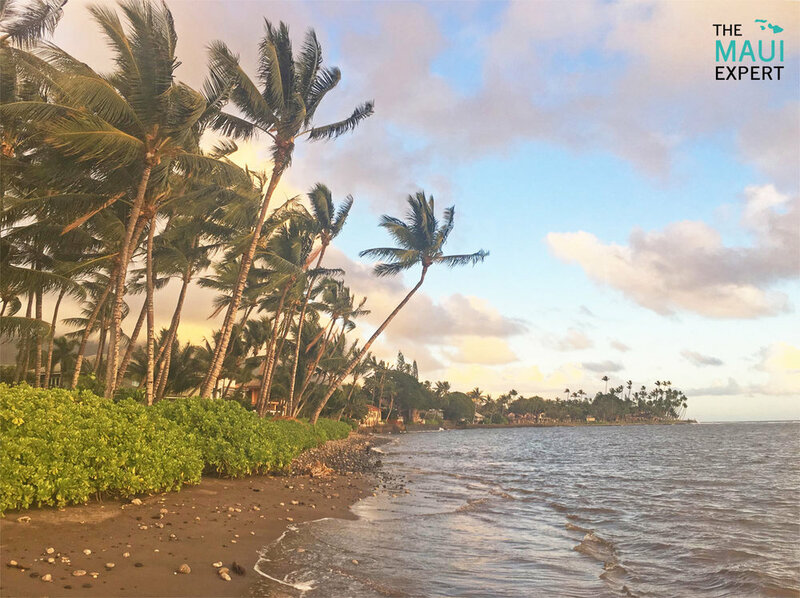 On the southern end of the beach, there's a narrow public beach access across from Kauaula Road and the intersection with Front Street. This is the main "Shark Pit" beach access, although finding parking is a challenge. To do what locals do, drive on Shaw Street and then turn south on Waine'e Street, following it all the way to where it dead ends by the gate on Kauaula. Facilities: Beach shower by Kamehameha Iki park. Located within walking distance of shops and restaurants on Front Street.